This is my first fan game, though I have dabbled with rom hacking. A sequel to RP, IP & AV is in the works titled Moss Lime and Coral Lapis. They will feature a new smaller region based on the Faroese Islands. They are still in early development, so if there is anything I should do different in those games, now is the time to speak up. If there is enough interest I might upload a playable alpha version sometime. 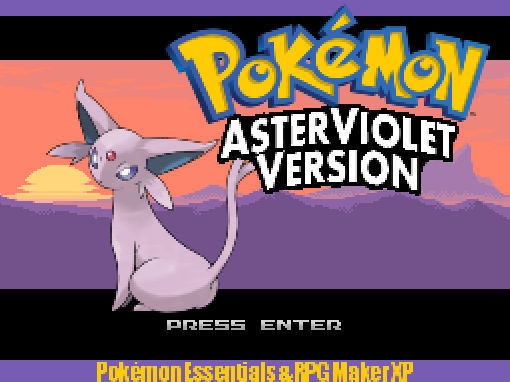 RP,IP and AV are made with Pokemon Essentials 16 in RPG Maker XP. They take place in the isolated region of Koris which is based on Iceland. 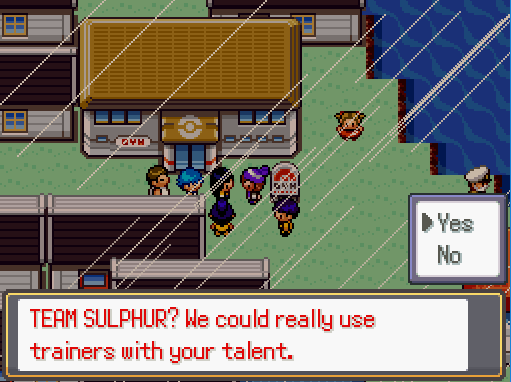 The main character sets out to challenge the 8 gyms in the region and soon runs into the misguided Team Sulphur. *Post game content - Battle tower, university, etc. Completed. However feedback is needed to test level balance throughout the games. In case others want to tweak the game; the .rxproj file is included in the download. Optional Auto level scaling added. (AV) Talk to fighter in Pokemon Centers. TM57 replaced with TM24 in Power Plant. Berries on Route 516 fixed. Getting stuck in "Yanma Lake grass" fixed. Sulphur Grunt at Flower Gardens fixed. Resizing disabled to avoid save corruption. Paralyze Heal missing from marts Fixed. Rocksmash attainable on Victory Road. Trainer blocking the way in Volcano Cave moved. Minor edits and bug fixes. *A Pokémon without nickname, which de-evolves, will retain the name of its evolution. It is recommended to give Eevee a nickname. Or go to the name-rater to change it. *Music cuts out very rarely. It is impossible to pass the first trainer (hiker) in the second room (down the first ladder) of Volcano Cave. Please fix, since you cannot progress in the game as is. Wow, you're already that far into the game? I reduced the levels of the hikers in volcano cave slightly and changed the pokémon's move sets. Hopefully they should be beatable now. If not, please tell me what exactly the problem is. A certain pokémon or move or too high level etc. EDIT: Never mind. I see what you mean by impassible now. ^^ Stupid blunder. I'll fix that right away. EDIT2: This time FIXED for real. Hiker was moved further down, so that he doesn't block the path. So where is Surf? I'm in Rain Town and I've talked to everyone. No one gives me HM03 Surf. I'm stuck here after being gym #4. Surf is supposed to be given to you in a house between routes 510 and 511. I may have marked it wrong in the excel sheet. :p Oops. Is it the Seaside Cottage? I went in there and all I got was a good rod. I'm playing Aster Violet. Turns out that I'd forgotten to set a certain flag for the NPC (in Rain Town) who gives the HM03. I fixed it for the new version. Now you should be able to get the Surf. Question: Is there something I'm missing? My Staravia and Flaafy aren't evolving. They're both level 36. 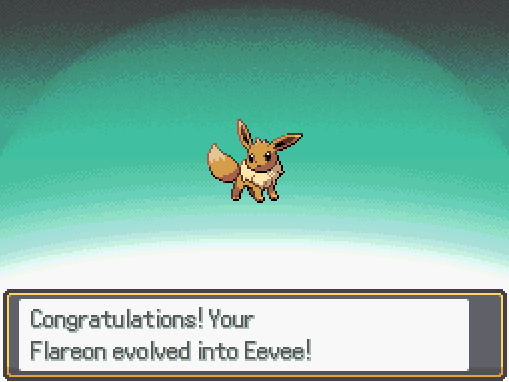 And for Iris Purple, I get the stones to evolve Eevee but I don't get Eevee, please help. Likewise Staravia evolves with the Bird Stone found in the Mountain Forest on Route 517. 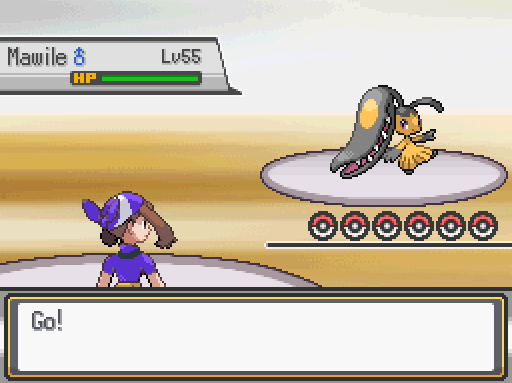 Many evolutions have been altered to use evolution stones. As for Eevee, it can be found in the wild on Route 508 and the forest on Route 503. It is somewhat rare though. Alternatively, currently a shiny Eevee lv 33 is available as a Mystery Gift. :) Just click A on the paper on the counter in the mart, "fill out" the form, save the game, and upon restarting click Mystery Gift between "New Game" and "Options" before resuming the game. Both Routes are kind of late in game. On the map Route 524 is marked as Cross Tunnel (yellow marker in the middle of the map) and 517 as Mountain Forest (green marker in the south). There is a way to get to Cross Tunnel early from Mt Back. But you'll need TM94 Rock Smash, which is a hidden item on the tiny island on Water Route 505, between Cloudy Town and Breeze Town. 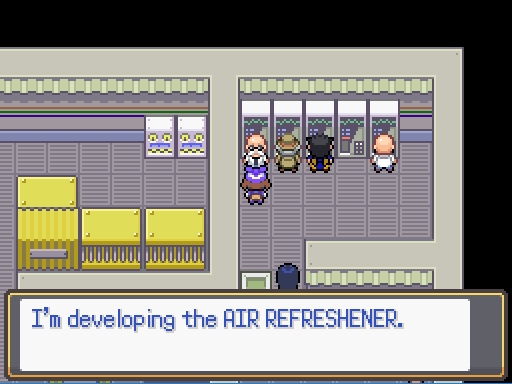 You are talking about the Gym in Misty City, right? From there you have to go south to Tide Town and then west from there. 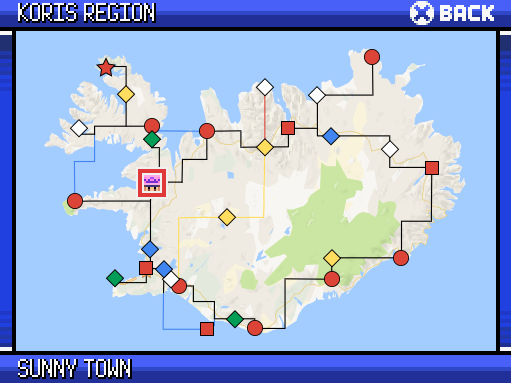 You will receive HM04 Strength on Route 515 there, which you will need in the Ice Cave. Are you running the newst version of the game? Otherwise there might be an NPC blocking the way inside the cave. @TakakoJin Thank you for your help >< where do I go after the last gym? Is there fly in this game? I've looked on the map. Victory road is like near the beginning town but i don't know how to get there other than walking/biking, help! Yes, after beating all 8 gyms, the next stop is Victory Road. You can either go directly north from Smoke City, using Surf/Waterfall outside the east gate. Or you can get HM02 Fly from an NPC in Weather Town, after you retrieved her stolen bag. 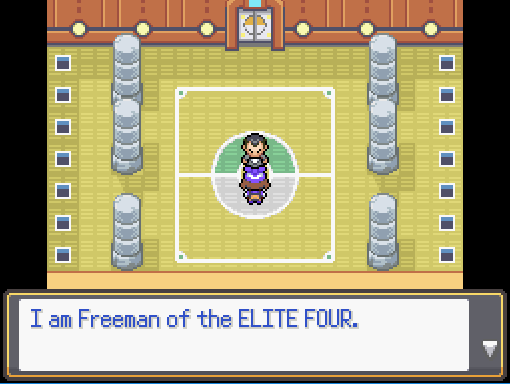 There is some post-game content after you beat the Elite Four. And there are 5 legendaries in certain caves and buildings. Can I ask if there was a part that felt too easy, too hard or too long? Hi, thank you for this feedback. It made me realize that the location for Rock Smash is a mistake. I updated the game, so now TM94 is given to you at the entrance of the Victory Road cave by an NPC. I don't think Rock Smash is mandatory before that point.